Intermittent fasting will provide you with many health benefits including improving your sensitivity to insulin, helping your body to burn fat for fuel effectively, increasing your overall energy levels, and increasing your mental clarity. If you have agonized for years about finding a dieting and exercising regimen that will best suit your lifestyle and goals, you are not alone. For years, this was also my dilemma. I understand how all this is frustrating you, taking into account the time and mental energy that goes into the whole affair. You may have been as enthusiastic as I was, about starting out on a new diet plan or a fitness program, only to end up disappointed because of falling off-track. I tried many things, with little or no success. I know what it means to go on a 100% whole-food diet or even to undertake a dieting plan of six small meals a day. I can tell you; these dieting plans do not work. Just like my case, you may have blended, chopped, and tried everything in the book, but you are still where you started, because these programs are not resonating with your body. Most of the days, you find yourself lethargic and you are sick and tired of planning your diets and workouts. Irrespective of what you do, you still do not see the desired results. All this is set to change once you discover the incredible health benefits of intermittent fasting (IF). Maybe you have heard of this program before, and you did not give it much thought. This new approach to fitness and eating is what you have been waiting for. The main reason why you are not able to lose weight (apart from the fact that you maybe overindulging in foods grossly altered from their natural state: processed foods) is because you are always in a continuous feast mode without ever skipping a single meal. This makes your body to burn sugar as primary fuel resulting to the down-regulation of enzymes used to burn stored fat. Fasting will help you to reboot your metabolism. This will make your body to start burning fat as primary fuel, making you to shed those unwanted fat stores. With improvements in your insulin resistance and once you attain normal weight, you can go back to eating more frequently. By then, your body will have regained the ability to burn fat for fuel. This is the key to losing weight and keeping it off. 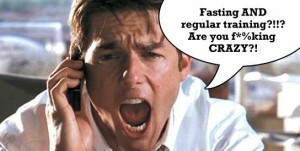 A lot of research has been carried out on intermittent fasting; more research is still being done. Let us explore some of these research findings. According to a 2013 review, even if you only slightly reduce your total daily calorie intake or you do not change it at all, you stand to benefit from a broad range of therapeutic benefits associated with intermittent fasting. These health benefits can be attributed to the fact that your body thrives in a cycle of “famine and feast.” When ancestral conditions of cyclic nourishment are imitated, your body starts performing at optimal levels. 1. Increasing your mitochondrial energy efficiency and insulin sensitivity– If you want to retard aging and disease, you need intermittent fasting. Aging and disease are associated with declined mitochondrial energy and loss of insulin sensitivity. Fasting will help with these two. 2. Reduces oxidative stress– when you fast, you decrease the amount of oxidative radicals in your cells. This will prevent oxidative damage to cellular elements therefore will help to prevent disease and reverse aging. 3. Increases you capacity to resist disease, aging and stress– By fasting, you induce a cellular stress response similar to that induced by exercises. This will increase your ability to deal with stress and resist aging and disease. You may have heard of the notion that you should eat well before exercising. This belief has been the subject of many debates, in recent years. Our ancestors had cyclical eating patterns and we know that in many cases such as when hunting for food, they performed strenuous physical activity on empty stomachs. Modern day research has confirmed the biological benefits of this kind of eating schedule. If you exercise with the main goal of losing weight, you will find it highly beneficial to exercise after waking up, before you eat your breakfast. Before your evening or mid-day workout, you may also try to fast for some hours. 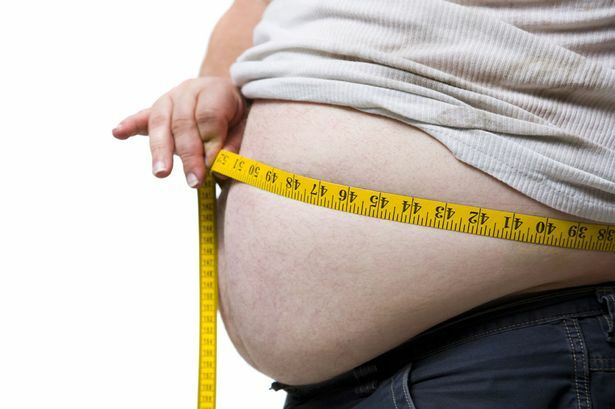 According to Rowley, the less glucose in your body, the more fat you burn. However, if you have performance related goals in mind (such as improving speed or strength), you need to fuel up because an energy shortage will make it hard to put forth a good effort. Can You Gain Muscle While On Intermittent Fasting? 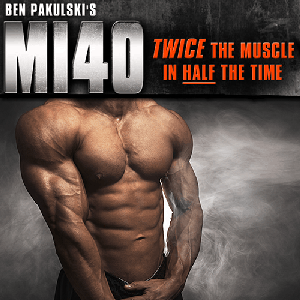 If you want to gain muscle mass and still have a lean body, there is an optimal solution for you. It is provided by Martin Berkhan from LeanGains.Com. Martin’s intermittent fasting approach will help you to achieve your fitness goals. 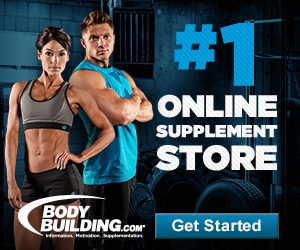 This is because it has assisted many people to reach their fitness targets. Berkhan is an expert in the realm of muscle gain while on intermittent fasting. You will not have to worry about making breakfast after you wake up especially if making breakfast was a hassle to you. Eating at night stops at 8pm. You will enjoy the convenience of intermittent fasting because you will clearly know the times when you should be eating and when you are supposed to fast. An important factor that Berkhan has stressed is that if you are going to train hard or lift heavy weights, you should ingest a scoop of branched chain amino acids (BCAAs) or a scoop of protein powder, 5-10 minutes preceding your workout. This will sidestep increased protein breakdown of fasted exercising and make you to reap benefits of increased anabolic response. Another issue worth remembering is to eat a lot during your eating window of 8 hours. If you starve yourself and you are fasting and exercising, you can rest assured that you will be exhausted in no time and eventually give up. 10:00 am: I take another scoop of protein powder of BCAAs. Cup of coffee and subsequently carry out some errands before breaking the fast. 12:00 pm: Fast-breaking meal/Post-workout meal. This should be your biggest meal. It should be high in carbohydrates and proteins. 3:00 pm: My second post-workout meal of the day. 7:30 pm: Third meal that should be high in carbohydrates and proteins. 9:00 pm: Water and tea galore! You should repeat this schedule on a daily basis. The main point to remember is that you should create a fasting schedule based on your lifestyle. Intermittent fasting can work for anyone: some people fast for more than 24 hours while some fast for only 14 hours. So far, my results have been very encouraging. I am finally seeing abs after many years of stomach fat. My overall muscle composition and definition, has increased. Also, my energy level is at an all time high and the subsiding of my hunger levels is simply amazing. When you are fasting, you can take as much water, coffee and tea, as you like. However, you should make sure not to exceed 50 calories in milk or sugar. A single article cannot fully explore everything to do with intermittent fasting. This subject matter is broad. 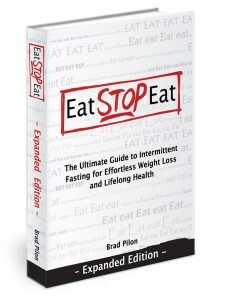 If you wanna learn more about intermittent fasting, I recommend the Eat Stop Eat book by Brad Pilon, it’s a leading book on flexible intermittent fasting.